“Finally, Workmanship with Pride” We provide residential & commercial roofing installation repair, & replacement, asphalt, standing seam & multi-rib metal, slate, tile shingles, gutters, siding & more! Cabinets and Tops of the Upstate serves the finest home builders in Greenville and the upstate of South Carolina. We cater to your special needs with the finest cabinets and countertops available. To find a solution that increases the appeal of your home, visit our showroom today. The Upstate’s leading tile distributor for over fifty years. We are a full-service landscape company. Our capabilities include: design & installation, patios, rock walls and irrigation. Visit us online & at Facebook to view recent projects and call us to learn what we can do for you! We are a full-service lumber yard. Trust us to bring you cutting edge products in engineered wood products, windows, doors, decking, roofing and much more! 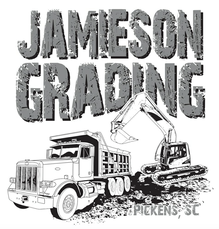 ​South Carolina Contractors save time and money by having Jamieson Grading complete all site prep work. We pride ourselves on our quality workmanship and our track record for providing on-schedule and on-budget service. Your single source solution for appliances, bedding, electronics, furniture & more! Design services for both commercial/residential spaces. Visit our showroom & get inspired! JL’s Heating & Air, Inc.
Our strength is in our capability to offer a variety of technologies and provide truly comprehensive and customized solutions to our customers that are practical and economically feasible at the same time. Our constant craving for excellence makes us distinctive and allows us to build long term association with our partners as well as our clients. We are a family owned and operated wood flooring business, servicing customers in Upstate South Carolina and Western North Carolina, with a vast array of wood flooring options that will certainly please the most discriminating taste. We are dedicated to providing our customers with the highest quality electrical contracting services available. We are a residential painting and drywall contractor in the Upstate specializing in enhancing the charm of homes & offices of South Carolina. Experience the Southern Traditions Difference. We have been partnering with top manufacturers for over 2 decades to bring homeowners the latest design trends & highest quality interior/exterior shutters, shades, blinds, drapery and motorized window treatments.